Facebook is adding a new “Watch” tab for video streaming to its platform. The Watch tab will feature personalized recommendations of live and recorded shows to watch. Users with access will see a TV-shaped Watch button in the bottom navigation bar of Facebook’s main app. The tab has a Watchlist feature that lets you subscribe to updates on new episodes of your favorite shows. The tab will also have sub-menus for categories like “Most Talked About,” “What’s Making People Laugh” and “Shows Your Friends Are Watching.” A feature on the tab links shows to Groups to let fans connect with each other and creators. The new platform will be a home for original video content produced exclusively for Facebook by its partners. Facebook wants give people content they can’t get anywhere else so they will keep returning to the platform. Most of the shows that will show up on the service at first are mini-documentaries, reality shows, and sports coverage. Facebook could boost ad revenue by hosting original programming on its platform. 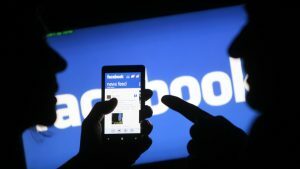 The partners will reportedly earn 55 percent of the ad revenue while Facebook keeps 45 percent. The guidelines on where ad breaks can be inserted and how long they can be are still being finalized. Publishers can also share their shows to the News Feed to help people discover them. Several dozen original shows will launch to a small group of U.S. users on mobile, desktop and Facebook’s TV apps. Facebook plans to roll out access to Watch to more users and more content creators soon. The company intends to expand the feature across the U.S. before expanding internationally.